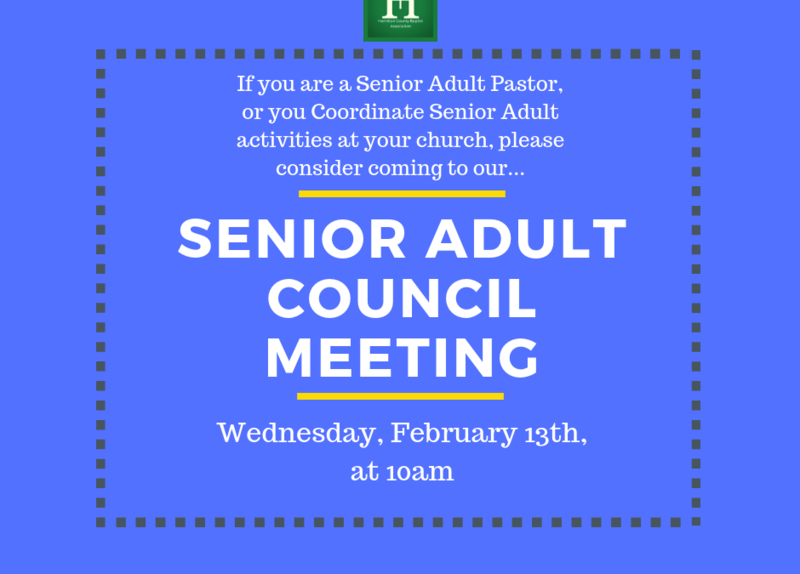 I wanted to invite you to our next Senior Adult Council Meeting on Wednesday, February 13th at 10am at our HCBA office location(4062 South Access Road 37406). If you RSVP for this meeting, our association will be providing different types of biscuits! Please call me (423-364-9952) or email me by Tuesday, February 12th to RSVP for a biscuit. We want to show our appreciation for taking the time to meet with us. I am inviting Senior Adult Pastors to this meeting fro the first time, because I want each church to have a say in what our final decisions are, because it affects those in their ministries, and I want this to allow each Pastor to have a sense a ownership over these events. We have a mentality of partnership,because we want to pour into the Senior Adults of our churches just as much has you do. Please feel free to contact me if you have any questions. My cell number is 423-364-9952.